Guitar Tuner is inevitable for most guitar player. 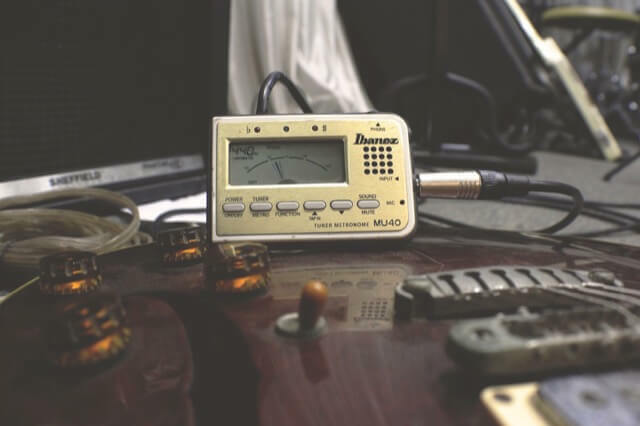 It plays an important part in our guitar life as a guitar tuner will keep our guitar play feels right. However, using a guitar tuner isn’t that easy, so in this article, I’ll be creating tutorial list of how to use a guitar tuner that covers widely from built in guitar tuner to a mobile device guitar tuner. First of all, let’s talk about what is a guitar tuner. Guitar Tuner is a device that detects and displays the pitch to open strings of guitar. 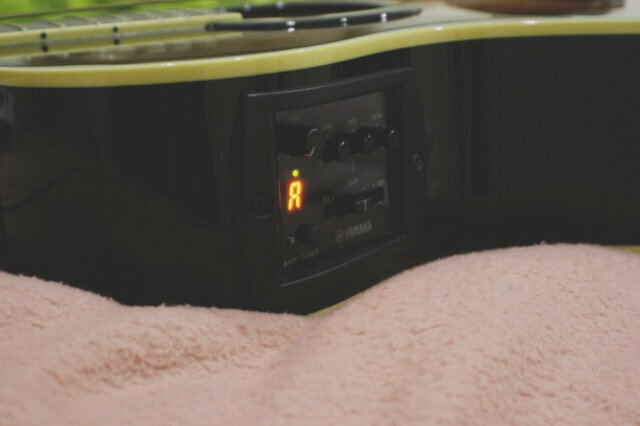 Mostly, a guitar tuner would use a needle dial, LED, or LCD display — to determine if the pitch is lower, higher, or equal to the desired pitch. There are tons and tons of guitar tuning technique. As for this post, I’ll be covering how to use a guitar tuner in Standard Tuning. There are a tuner for your guitar. You can’t just buy some random tuner for your classical guitar, you can’t just buy any guitar tuner for your ukulele. There are several tuners available in the market. In general, guitar tuner is divided into two division. The first division comes for guitars with no plug-in jack. This division usually comes with a non-electric acoustic guitar, ukulele, and classical guitar. For this division, there are clip-on tuners that use high-sensitivity vibration sensor. The second division comes for the electric guitars. In this division, there are wider types of guitar tuner; but mostly all of them are using input-jack from guitar as their input. The reason is that unlike non-electric guitars, electric guitars tend to have lower resonation compared to non-electric guitars. This guitar tuner division, however, are not working for acoustic guitar. Acoustic Guitar can use tuners from both division. Moreover, there are also electric acoustic guitar that even doesn’t need any tuner since they have their own built-in tuner already. This is basic skill on how you’re tuning your guitar with whatever your tuner is. The first thing you need to know is the note for each strings in the guitar. From top (the thickest string) to the lowest (thinnest) string, this is the note that you need to remember. This is taking assumption that you’re not a lefty. Now that you know what the note says, next step is is to follow the string into its respective tuning pegs. To do this you just need to follow through your string up to the head of the guitar. Then, try to turn the pegs, note that the note will be getting higher as the strings get tighten up and lower as the strings get loosen. Then using whatever tuner you have in hand, try to pick the string one by one and turn your peg until the color in the tuner turns into green (usually). Also notice the note in the tuner will change respectively as you turn the peg. Try to match the note in the tuner with the default note for each string, as stated in above. Using clip-on tuner is pretty basic, with all the basic knowledge that you already have in tuning guitar, do these three simple steps. Clip the tuner in the head of your guitar. Make sure that the tuner doesn’t touch any peg or strings of the guitar. The tuner position is different from capo position. It’s not like capo where you clip the guitar strings and strum it. Once you turn on the tuner, try to pluck the top string (E note) first. Use the basic knowledge of your guitar tuning technique by turning the peg upside down. When the LCD or needle in the tuner hits the center and the screen (usually) changes color, stop and pluck the next string. And that’s it, repeat this step until you finally tune your guitar correctly. This video might help you if you don’t get what I mean. 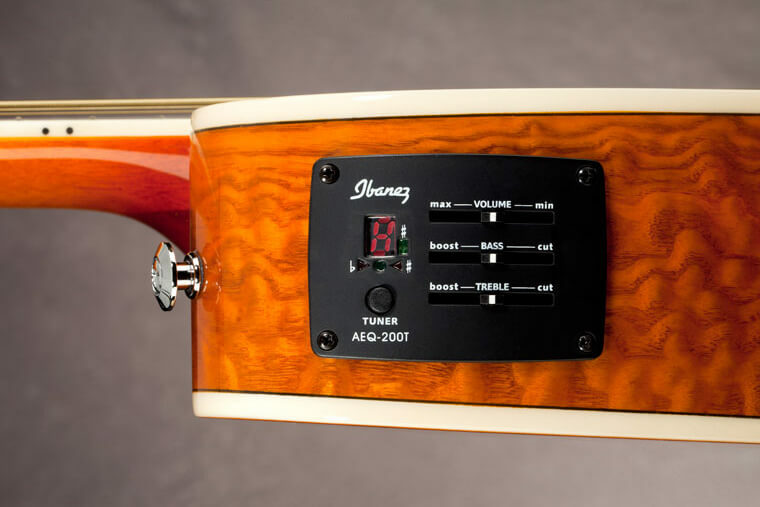 There are some guitar makers that have their own tuner, built right into the guitar. If you have this kind of guitar and you don’t know how to use its tuner because well, maybe you don’t know where the manual book is, or perhaps left the manual book in the store, I have three simple steps to help you with your new guitar. Make sure if your guitar have the battery attached. Most guitar with built-in tuner usually needs extra juice to power the tuner. The battery position could be right beside the tuner, and also could be below the body. Look for the button to turn on the tuner, turn it on until the LCD showing something. Then, do the basic technique for tuning the guitar, pluck one string, match it with the LCD display, and so on. Now, as you know, Chromatic is different with a non-chromatic tuner. That’s because non-chromatic tuner only detect a certain note. A chromatic tuner on the other hand, can detect all the note. So in terms of accuracy and usefulness, I’d suggest you’re using a chromatic rather than a non-chromatic tuner. Moreover, chromatic tuner also can be used for tuning other string instruments like violin, cello, or even ukulele. To use this chromatic tuner, I have some tips that you can use (three tips also). Chromatic Tuner comes with two input, microphone and jack input. Unless if you’re sure that your room is really quiet, I’d recommend to plug in a jack with the tuner and the guitar. Once you’ve turned on the tuner, try to pluck any string. If the tuner responds, go through the basic guitar tuning technique. Also make sure that your chromatic tuner is listening on standard tuning calibration, 440Hz. If you’re asking what’s this? It servers as general tuning standard for musical pitch (taken from Wikipedia)). 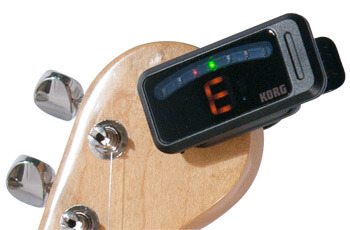 There are wide variety of Korg Tuner out there. It has clip-on tuners, chromatic tuner, pedal tuner, and still many more. 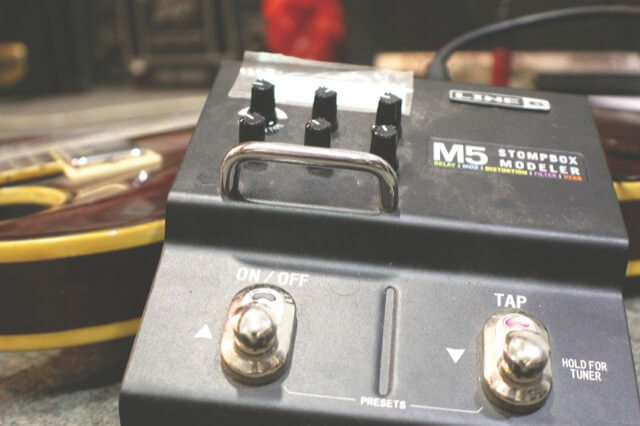 If you have one of Korg tuners, you can check the tutorial for using clip-on tuners and using chromatic tuners in the early section of this article. 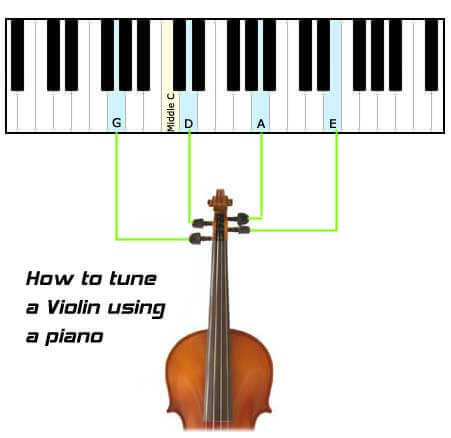 For tuning violin, you need to know four notes. From the string that has nearest position from your face to the furthest. Anyway, this order is using standard tuning like always. So that’s it, my tutorial on using guitar, as well as bonus for using ukulele and violin tuner. If you think that you have a question or my explanation is blurry for you, please contact me and ask anything regarding this. I’d love to help you. Also don’t forget to share this article if you think this article is helpful for you. One sharing means a world for me and this website as well. Thanks a lot for reading and God bless! Like this post? Please help us sharing the word by clicking this button below.